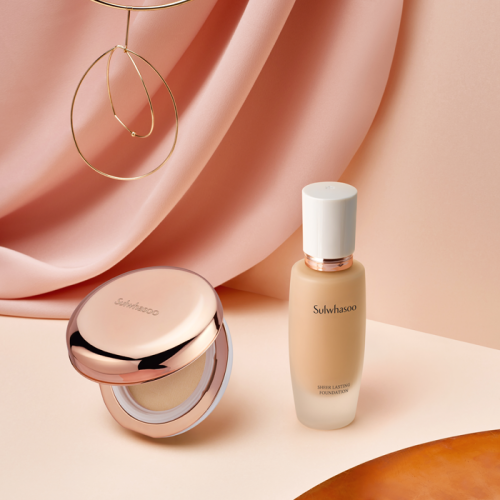 Sulwhasoo Sheer Lasting Foundation offers a fresh-looking, radiant look with a light finish, reminiscent of the beauty of plum blossoms blooming in the show. This foundation is designed to look natural and provides a weightless touch to the skin. Your complexion will look flawless, healthy, and fresh after application. You’ll also be pleased to know that a little goes a long way for this product; just a touch of it is enough for the entire face! But it doesn’t stop at these benefits. The foundation is also infused with sea buckthorn berries, which is rich in antioxidants, and a host of vitamins and minerals. What this means is that your skin will be defended from environmental aggressors and continue to look great even without makeup on. Sulwhasoo Sheer Lasting Foundation is available in six shades. It retails at SGD 76 for 30ml and is available at all Sulwhasoo boutiques and counters. Find the nearest one to you here. Suggested article: Sulwhasoo Sheer Lasting Gel Cushion review: Is this luxury cushion a worthy investment? 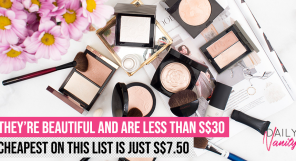 It looks like those who are looking for a lightweight foundation that is comfortable to wear would find favour with the Sulwhasoo Sheer Lasting Foundation. Reviewers love the natural-looking radiance it is able to deliver and how natural it looks; some even say that it feels like they aren’t wearing any makeup at all with it! For a lightweight foundation, most reviewers are surprised that it was able to provide adequate coverage. 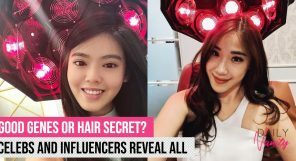 A few of them mentioned that it was sufficient to cover imperfections such as redness and even eye bags. Many reviewers were also impressed with the longevity of the product. Some of them said that the foundation were able to stay intact on skin throughout the day with minimal to no touch-up. It blends easily with a beauty sponge, feels lightweight and stays hydrated throughout the day. I like that it doesn’t leave a sticky feeling on my skin even when I am out in Singapore’s humid weather. While it is a little pricey, you’re really getting what you’re paying for! I will recommend it to my friends. I’ve tried Sulwhasoo’s skincare products before and they work well for me. This is why I looked forward to trying the foundation. The Sheer Lasting Foundation feels lightweight. While coverage isn’t very high, I appreciate that it lasts through the day. I would recommend this to my friends who are looking for a foundation that is lightweight and long-lasting. It provides me with the coverage but isn’t overly thick. It gives me a brightened complexion that looks natural. It’s nice that it has a pleasant smell too. However, I wish that it were more moisturising. My skin was particularly dry during the period when I tried this foundation. Even after applying moisturiser before applying this foundation, my skin was still dry and flaky. 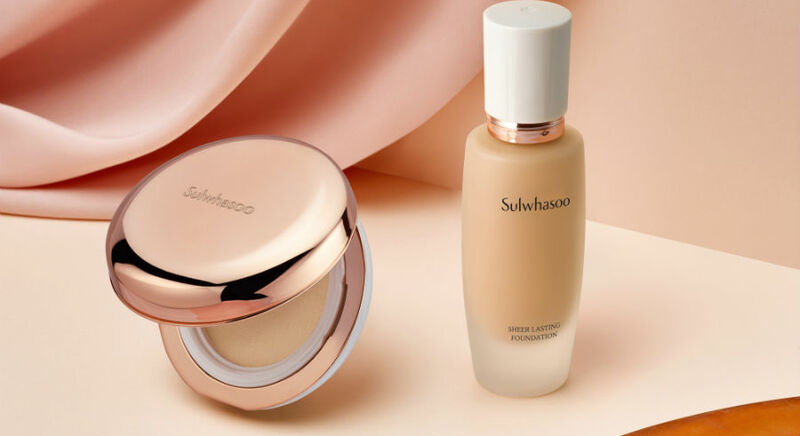 Response from Sulwhasoo: As the foundation formula contains non-oily moisturising ingredients for a fresh powdery finished look finish and long-lasting effect, it may could cause a slight feeling of dryness depending on the skin type. For users who has very dry skin, a drop of First Care Activating Serum EX is recommended to mix with the foundation for more hydration. This foundation feels comfortable and lightweight on skin and it dries down to a really nice semi-matte finish. I also like that it provided adequate coverage, even for my eye bags. While it looks great when I first apply it, I notice that the foundation seems to emphasise my pores and cakes around my eye area after a few hours of wear. This foundation is ultra lightweight and a small amount is already sufficient to attain good coverage. It’s not heavy-looking so it looks as though I haven’t applied any foundation. It is long-lasting; even without finishing powder, it was able to last through the day from 8am to 9pm. 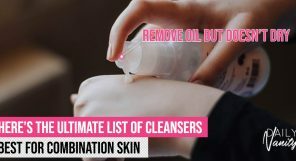 However, as I have combination skin, I needed to blot my face every four to six hours to look less oily. Nonetheless, I will recommend this to my friends because of how glowy it makes my complexion looks and how it stays on well on my skin. I loved it since the first day I tried it! I suffer from blemishes and acne scarring, and I was impressed that the coverage of this foundation was good enough for me! 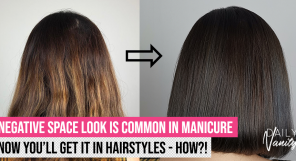 It is also long lasting – I was able to wear it for nine hours straight without touch-up. It definitely exceeds my expectations. The coverage of this foundation is good and is buildable. It also manages to last for at least six hours in Singapore’s weather. I really love this foundation but I think it broke me out. So perhaps it works better for non oily skin types. Response from Sulwhasoo: The foundation is suitable for normal to oily skin types, hence the breakouts may be due to new ingredients in the formula which the skin has not been exposed to. I like that this foundation offers good coverage without leaving my skin looking cakey. It was able to last the whole day with minimal touch-up. I will definitely recommend it to my friends. The Sulwhasoo Sheer Lasting Foundation has good coverage that conceals slight redness and dark eye circles. When I use it, I hardly need to use concealer except on my dark spots. The foundation doesn’t oxidise and I barely needed to touch up even after six hours of application without using setting powder. I like that it brightens up my dull skin. However, it can look patchy around dry areas on my skin. I love that it is light weight yet has enough coverage for my dark circles. Other foundations I’ve tried would have been gone by lunch time, but this one lasts through the day. I really love this product! Complimentary 2-piece Essential Travel kit & achieve flawless looking skin! 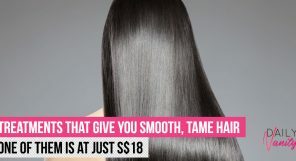 Simply quote Daily Vanity or provide a screengrab with purchase of any Sheer Gel Lasting Cushion or Foundation to enjoy!